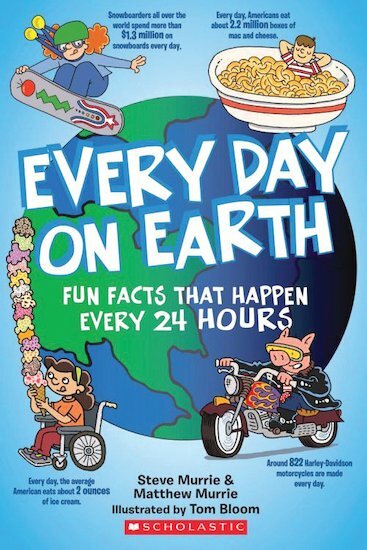 Discover all of the amazing things that can happen around the world in just one day! 50,000 taste bud cells are replaced. Almost 40,000 trees are cut down just to make paper bags. And a mayfly lives its entire lifespan. It all happens in a single day! With an exciting mix of colour pictures and photos, this unique book is full of fun facts about space, technology, pop culture, food, animals, sports, the human body and much more.